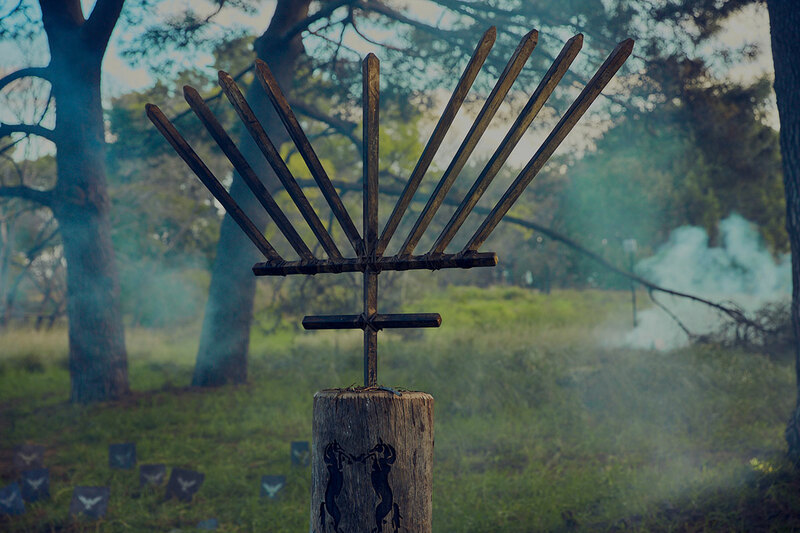 Hit TV series Game of Thrones has inspired all manner of art, promotional campaigns and parody; from Ikea’s spoof instructions for creating your own GoT capes using their faux fur rugs, to Tourism Ireland’s Doors of Thrones campaign which enticed fans to go see elaborately carved doors in different parts of the country, each of which illustrated an episode from season six. 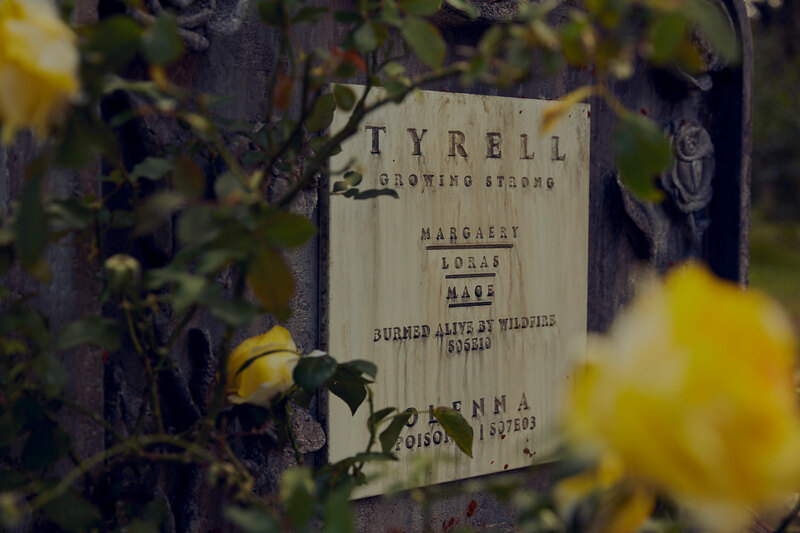 Now, to mark the launch of the hotly anticipated seventh and final season, Australian cable company and streaming service Foxtel built the Grave of Thrones; a 2000 square metre graveyard where all the dead characters from the show were laid to rest. 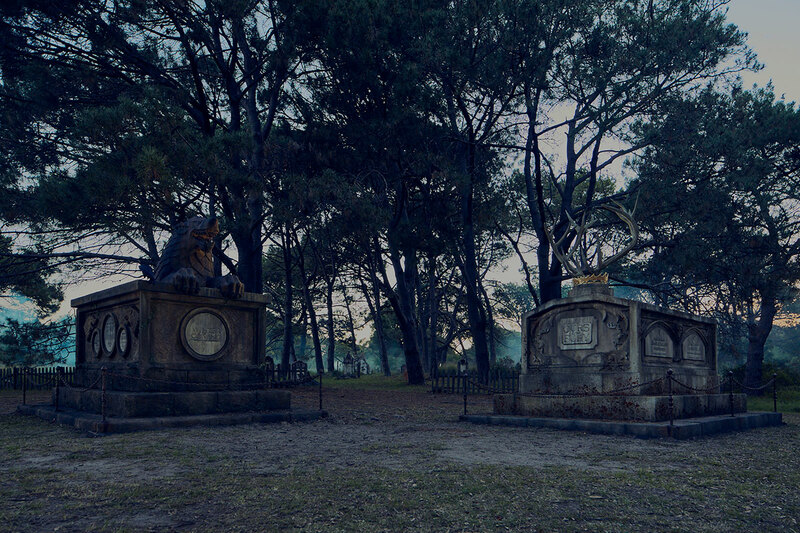 There has been a lot of bloodshed in the past seasons, so the graveyard created at Centennial Park in Sydney was pretty jam-packed. 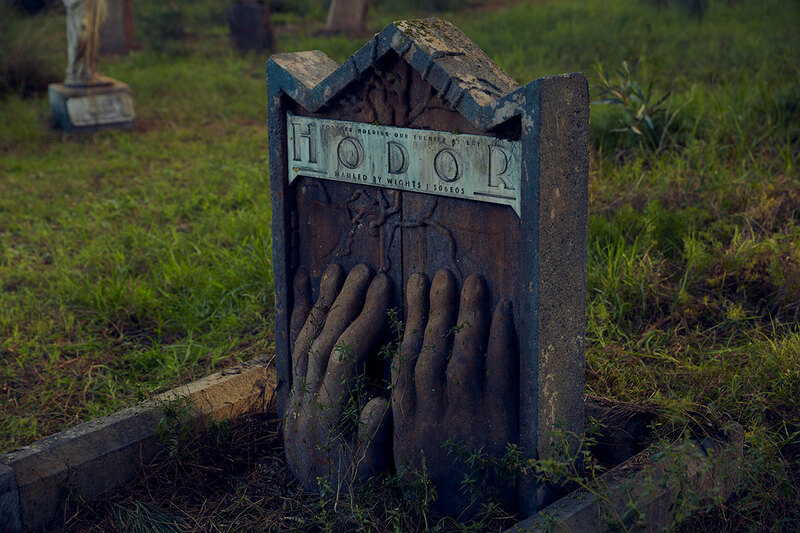 From April 12–14 fans could visit the graveyard, which held over 30 gravestones and two family mausoleums; one for the House Stark and the other for House Baratheon. 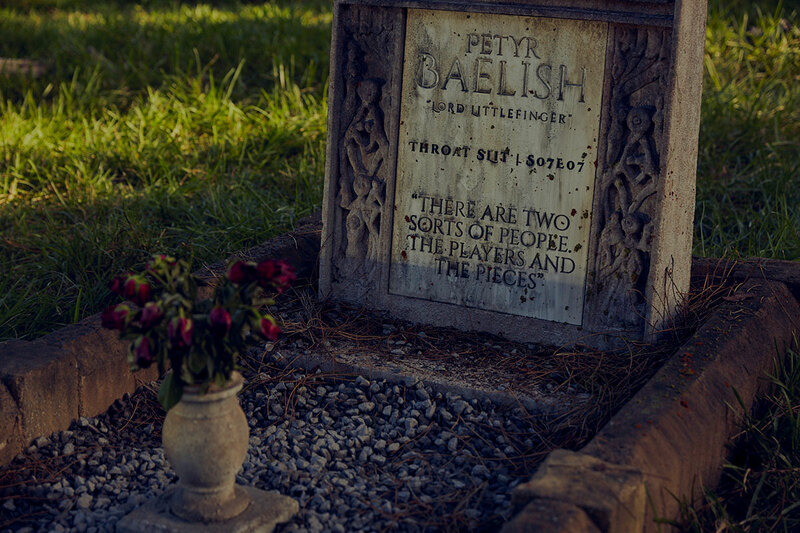 There were tombstones for Khal Drogo, Joeffry Lannister, Ramsay Bolton, Littlefinger, Tywin Lannister, Olenna Tyrell and other much hated (or loved, if you’re of the more sinister persuasion) characters. 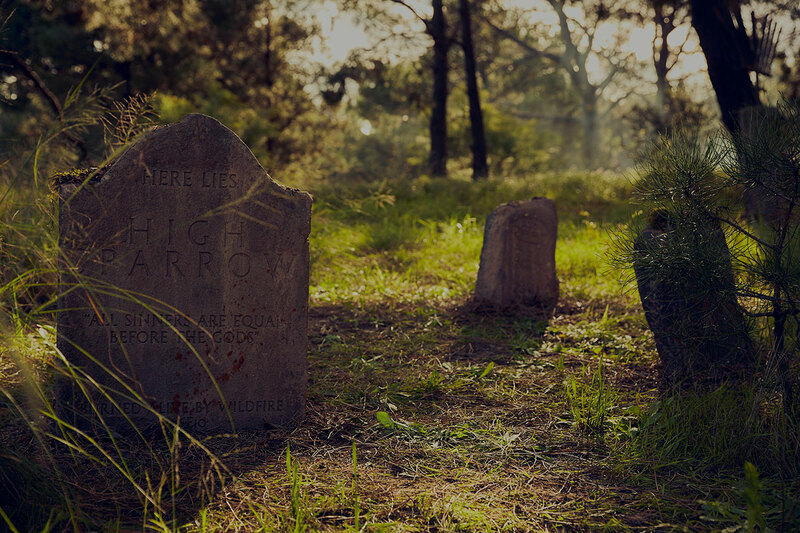 Each grave has been crafted with elaborate detail, and references the often gruesome way in which the character met their end. 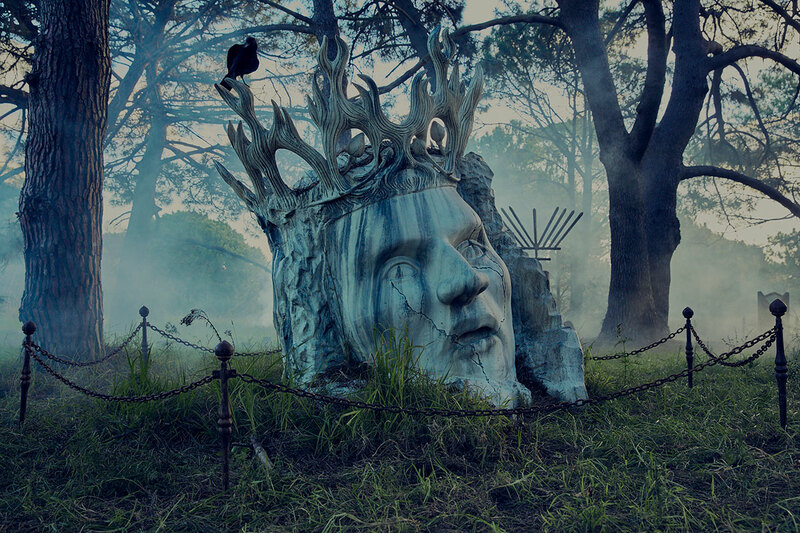 Joeffry’s is a sculpture of his head with a bleeding mouth and eyes, while Hodor’s depicts his noble end saving Bran and Meera at the mouth of a cave. 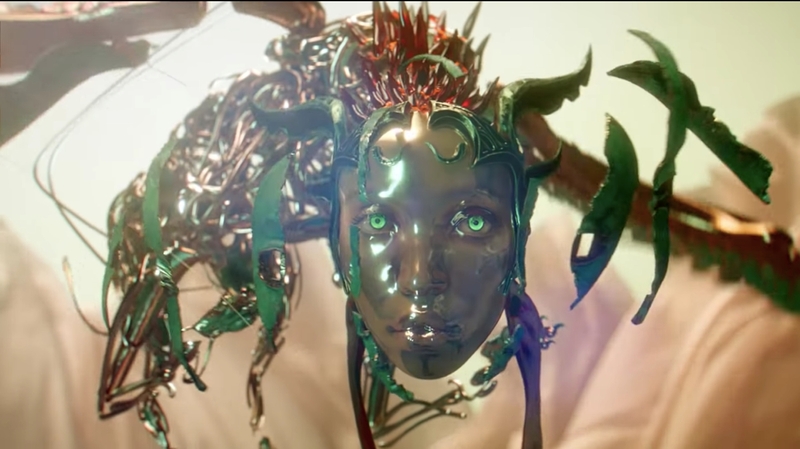 With narrative references and plot details woven into the designs, there was plenty for GoT super fans to delight in.